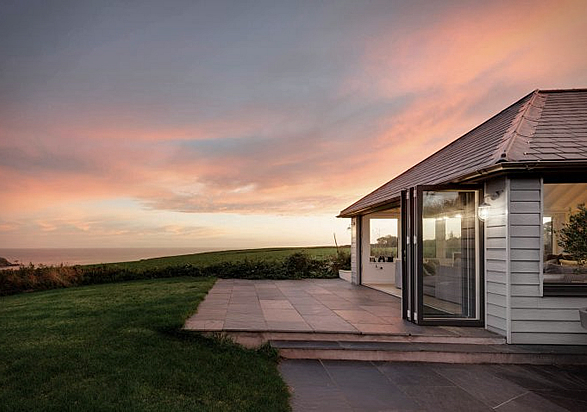 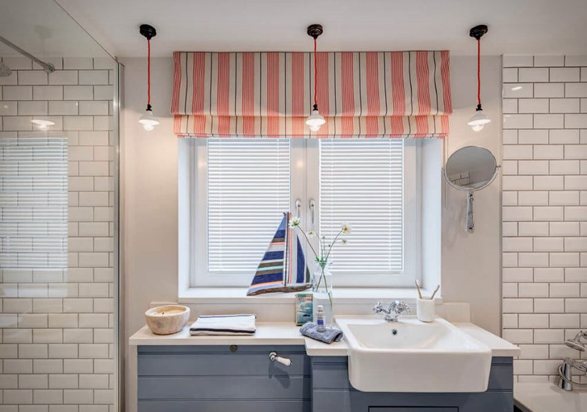 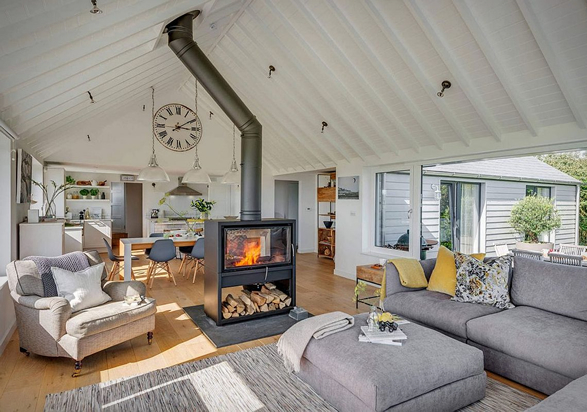 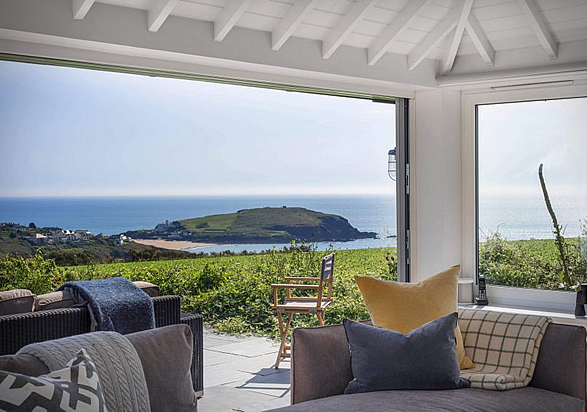 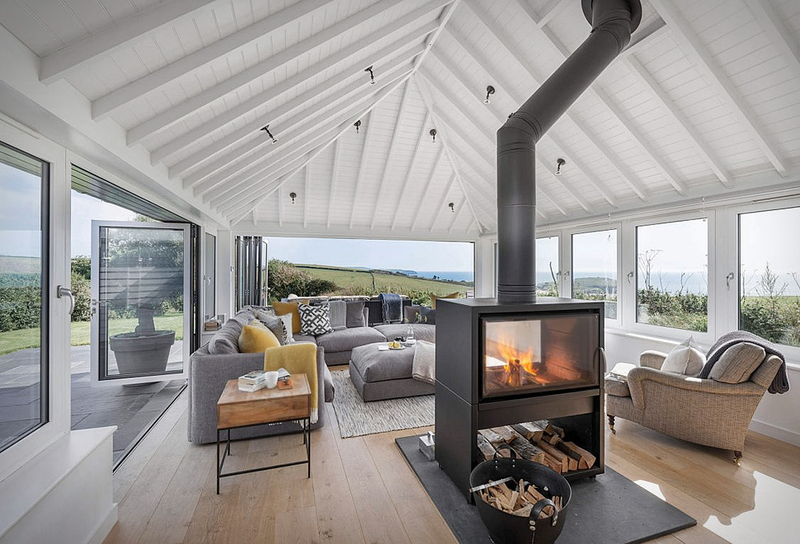 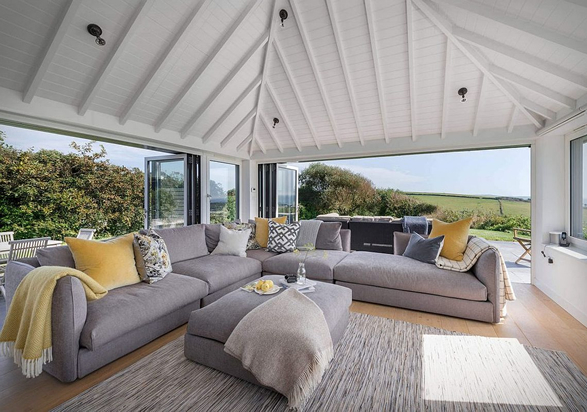 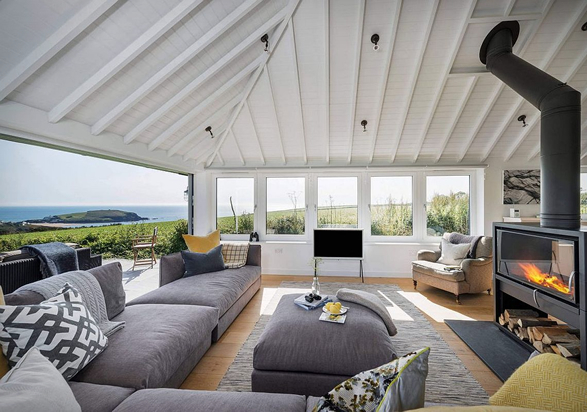 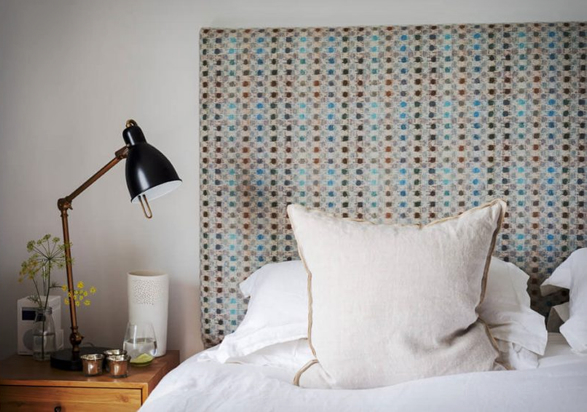 Set on the idyllic coast of South Hams, England, lays this beautiful modern villa that was once an old 60´s bungalow. 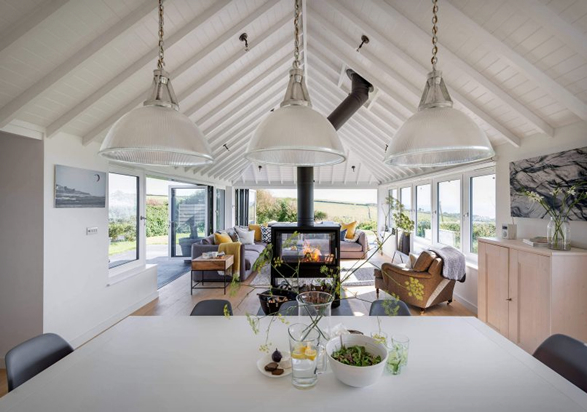 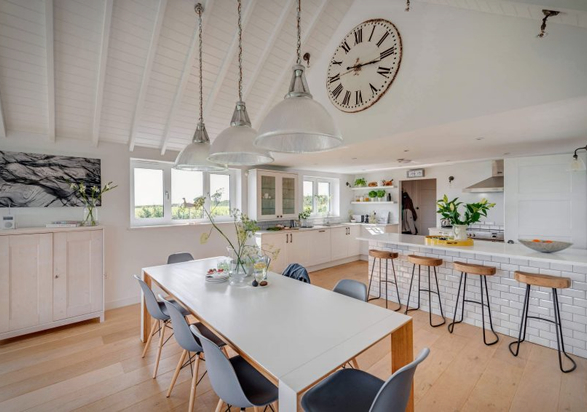 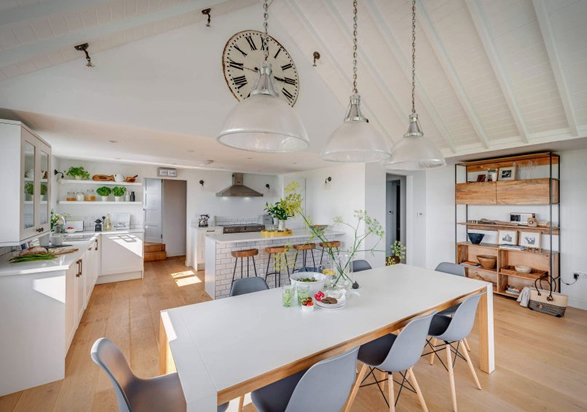 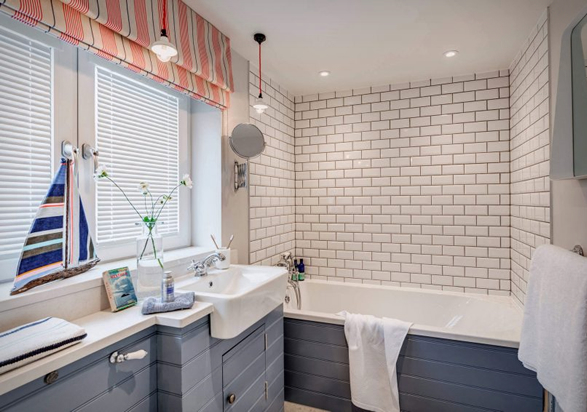 Restored by Woodford Architecture, the open plan home is all about entertaining and comfort, it features a kitchen, living and dining areas all located around a central double sided fireplace that sits at the very heart of this mesmerizing setting. 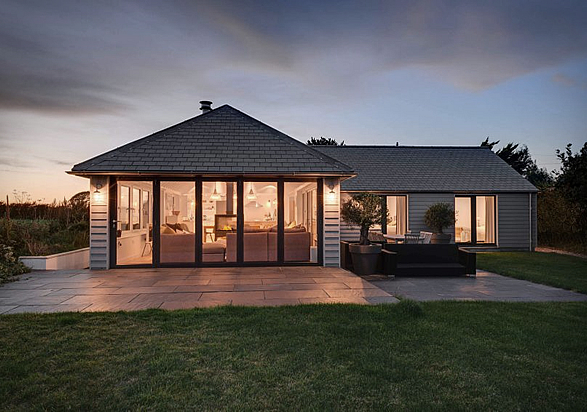 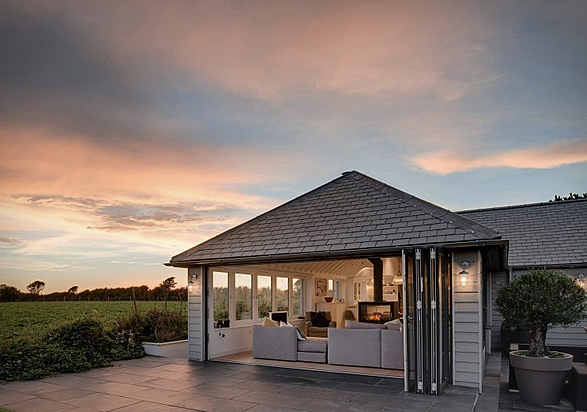 Sliding, folding doors open on two sides to link the indoors to the surrounding gardens, they frame the stunning views and create a light, spacious interior for relaxing and entertaining in all seasons. 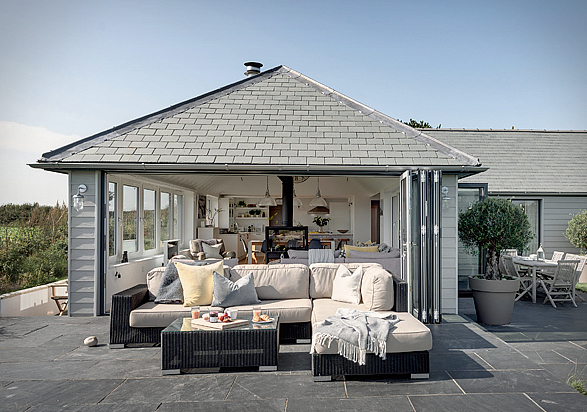 An outdoor deck and hangout extend the living room, with the smart bedrooms and bathrooms also embracing the coastal charm.